1. KW06 adopts TFT high definition screen, zinc alloy wire drawing and electroplating case, soft and portable TPU band. 2. Waterproof IP68 class, support swimming, rain, hand washing. 3. Android intelligent system 5.1, support WIFI, download and install software, GPS positioning. 4. SIM card can be inserted to support sports health monitoring, heart rate test, music playing, high-definition camera, video, and hand lifting screen wake up. 5. Compatible with IOS and Android systems. 6. Under the condition of Bluetooth connection, the watch can dial and answer the telephone directly and conveniently. 7. Support 3GWCDMA network /WIFI to keep abreast of the latest Internet information. KW06 adopts TFT high definition screen, zinc alloy wire drawing and electroplating case, soft and portable TPU band. Waterproof IP68 class, support swimming, rain, hand washing. Android intelligent system 5.1, support WIFI, download and install software, GPS positioning. SIM card can be inserted to support sports health monitoring, heart rate test, music playing, high-definition camera, video, and hand lifting screen wake up. 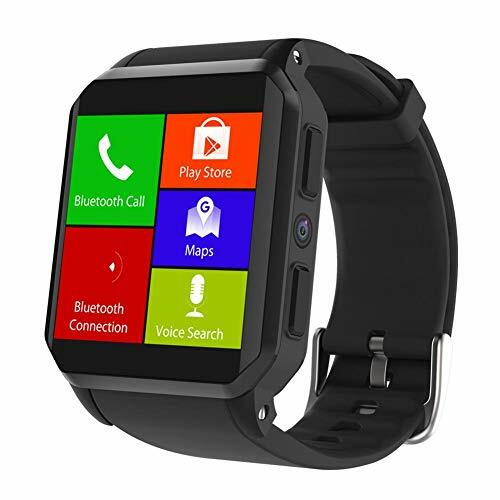 Under the condition of Bluetooth connection, the watch can dial and answer the telephone directly and conveniently.